Press Archives - Why L.A.? Pourquoi Paris? It all started with a dress. Yes, a dress that I bought my daughter Kimmy Erin when my husband and I were in Paris. She was just 4 years old then and after being stopped and complimented when she was wearing the dress while we were out and about in LA, always being asked, “Where did you get that?” an idea came to me that changed our lives. Knowing these clothes were special and that there was a market for them in the US, by the time Kimmy was 5, I founded a company that focused on the import, distribution, sales, and marketing for several well-known French children’s fashion brands. After many years of flying back and forth between Los Angeles and Paris, my dream of owning an apartment in Paris came true. Being residents of both cities enabled me to experience the privilege of discovering and becoming the woman I am bringing an incredible harmony and joy to my life. The business afforded me many opportunities to meet people from all over the world enabling me to develop deep and lasting friendships with many of the men and women I worked with. Besides sharing a love of fashion and design everyone was passionate about French food! Food is always a way to connect with people and get to know their personalities. What fun to share meals with friends whether at their homes or eating out in incredibly fantastic Parisian cafes, bistros and brasseries. It’s always about the pleasure of food and the experience whether it’s in the preparation, eating at home, or dining out in restaurants. From my perspective, the best recipes come from family and friends…favorites that are passed down from generation to generation. Motivated to learn how to prepare many of these incredible dishes I spent many wonderful hours discovering the secrets with my dear friend Annick and her daughter and “my Parisian daughter”, Anne, cooking and baking our favorite foods. It was important to be able to prepare these “easily “in both my Paris and LA kitchens! The key is to keep the recipe simple and be able to use it over and over again. It’s always important to use the best ingredients of pure and good quality. Fortunately, this is easy to do in both Paris and Los Angeles. A bit more difficult but still fun is adapting the recipes and the ingredients, using the right proportions, measurements, temperatures and cooking/baking times. Conversion from Metric to English measurement is challenging. Close attention needs to be paid to these variables to assure the best possible outcome! That being said, I have learned to cook and bake in a way that’s easy to do in both cities. Desserts are a “happily ever after”. “ A party without a cake is just a meeting.” according to Julia Child and if “the best things in life are made of chocolate” then it follows that the recipe I selected is a chocolate cake. There are as many recipes for chocolate fondant as there are Parisians. But, my first taste of “Anne’s Chocolate Cake” that she prepared from scratch for dessert at her home absolutely “wowed” me and I had to learn how to prepare it and serve it to my family and friends in LA. Chocophiles everywhere will fall in love with this cake. 2-Break the chocolat and butter in pieces and melt the butter and chocolat in a bowl and place in a saucepan of boiling water to melt them together. Ok to use a microwave After, stir well. Dans un saladier, casser le chocolat puis le faire fondre avec le beurre au bain-marie – ou au micro-onde. Bien mélanger. 3- In a separate bowl , use an electric mixture or spoon to beat the eggs with the sugar and then add the flour. Dans un autre saladier, mélanger au batteur éléctrique les oeufs avec le sucre et la farine. 4 – Fold in the chocolat butter mixture. Mix together well. Ajouter la préparation chocolat/beurre au mélange oeufs/sucre/farine. 5- Pour the mixture into a buttered round medium size baking pan. Déposer le mélange dans un plat rond beurré. 6- Bake 10 to 15 minutes…. check to see if it’s ready by sliding in a knife and if the knife comes out clean, the cake is ready. Leave to cool. Faites cuire au four 10 à12 minutes. Vérifier la cuisson à l’aide d’un couteau, si le couteau est sans trace, le gâteau est cuit. Laisser le refroidir. Book Bloggers Show Love for Why LA? Pourquoi Paris? “Diane Ratican has a deep love and knowledge of Los Angeles and Paris which she shares in such a way that you feel as though you are sitting down with a close friend for a casual conversation about their fabulous travels. 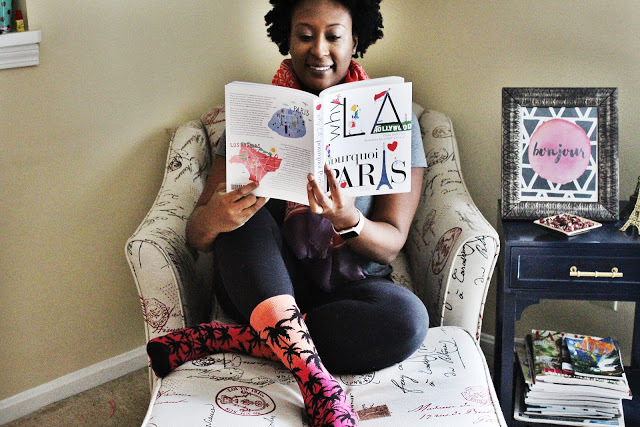 She compares these two large metropolitan cities through seven chapters that discuss architecture, art, culture, cuisine, sports, fashion, and the motion within these bustling locations.